Here's a fact that will make you want to cry: It is colder right now in Chicago than it is in Antartica, Alaska, and the North Pole. (No, seriously, you read that right.) Santa Claus and Mrs. Claus — she doesn't have a first name and, frankly, I'm mad about it — are sitting in a toastier environment than the Cubs. Thanks to a literal polar vortex that's bringing the "coldest air in a generation" across America, people are rightly panicked about all the dangers this kind of frigidness brings, including things like frostbite, which can occur once temperatures hit freezing. With temperatures dipping drastically throughout the midwest, places like Minnesota are set to experience wind chills approaching negative 70 degrees (yeah, you read that right, too), which means that frostbite can set in after as little as five minutes. With that in mind, we spoke to New York City-based dermatologist Hadley King, MD, about what exactly frostbite is, how it affects the skin, and how to prevent it from happening in the first place. "It's basically the freezing of the skin and tissue below the skin. Depending on how bad it is, it can be limited to just the skin or it can involve the muscle and bone underneath getting frozen, too. Typically, the colder it is and the length of time you're outside are both factors." Mittens do a better job than gloves, because they reduce the surface area that's being exposed to these temperatures. What areas are most susceptible? "It's the extremities, and that's because they get colder faster because of circulation. Fingers and toes are the first affected. The nose and ears are also extremities in that they are further away from the central circulation, so their temperature can be lower." What are some of the first signs of frostbite? "Immediately, the skin is cold and usually you feel a loss of sensation — so numbness and a pins-and-needles feeling. A stinging feeling and a more waxy look might develop. You may start to look more blue and red as things start to lose circulation. As there's not a flow of freshly-oxygenated blood going in, the skin is going to become dustier looking. And then inflammation is possible, and blisters are possible — that's because the tissue is dying. As the tissue dies, fluid is released and that can cause blistering." How can you really prevent it? "Being well-dressed and keeping the extremities well-protected and insulated from colder temperatures is critical. Mittens do a better job than gloves, because they reduce the surface area that's being exposed to these temperatures. Insulated socks, insulated layers, and keeping the core warm so it continues to pump warm blood into these parts — think about vests and scarves." What should you immediately do if you suspect you have frostbite? "If it's mild, then at home you can gradually re-warm the area by soaking it in a warm bath for 15 to 30 minutes and make sure the rest of you is warm, too, by drinking some warm fluids. If it's more serious, then you have to seek medical care. They'll do some of the same things such as warm soaks, but they'll also be able to give you warm IV fluids. They may give you oxygen if necessary. They also may give you a pain medication because, as the tissue gets reperfused, meaning the blood is perfusing again to the area, that can be super painful." Are there any lasting effects of frostbite on the skin? "It totally depends on how bad it is. In mild cases, there probably won't be any side effects. That area can gradually be warmed with baths and all the symptoms will likely resolve. There can be temporary nerve damage that can create a pins-and-needles feeling or numbness. In most mild cases, feeling will come back over time. "But in more serious cases, the tissue can actually die. It takes time to really see how much of the tissue is going to die, so we protect it by doing antibiotics and sometimes by giving medication that thins the blood. Then, unfortunately, if some of the tissue is dying, it has to be removed so healthy tissue can be preserved. That can be mean amputations or skin grafts." How should you treat the skin after frostbite? "In bad cases when the skin is not intact, it's going to need to be wrapped and dressed [with] antibiotic-type ointments or other emollients. It also helps to keep it elevated. In minor cases, it'll be a matter of keeping the area clean and moisturized. 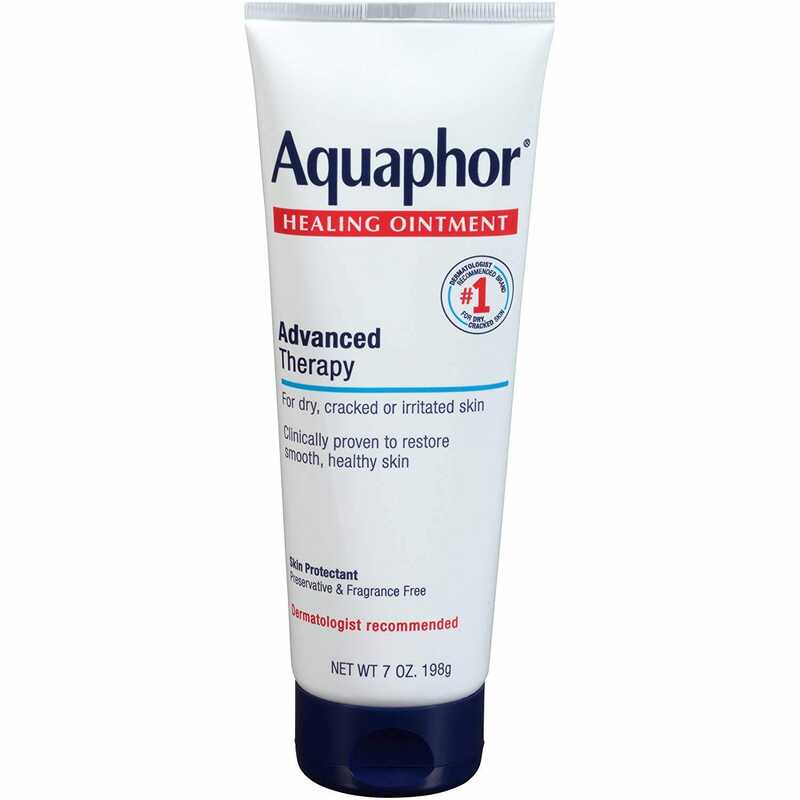 Something like Aquaphor healing ointment is great."